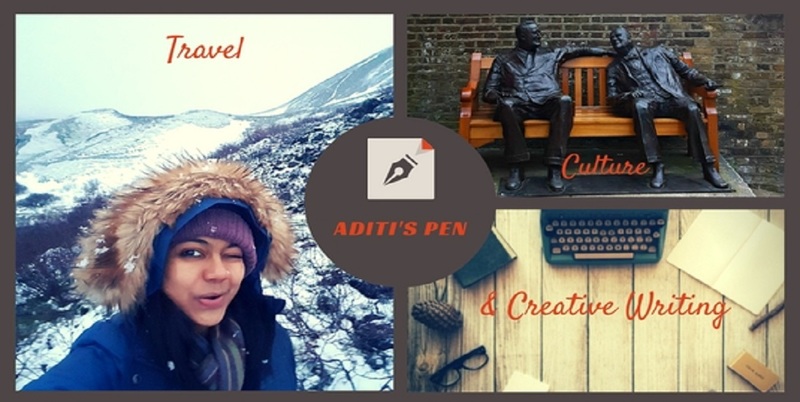 Aditi's Pen: How Far Have I Come? How Far Have I Come? At times it is important to ask yourself this, How Far Have I Come? It is important to focus on the good, the achievements, the tides through which we have sailed, to gauge one's happiness meter, to re-write our dreams, re-sketch our life's blueprint. "Your views will become clear only when you can look into your own heart. Who looks outside, dreams; who looks inside, awakes." At core, I am a very high-on-energy, happy-go-lucky person . But there are days when I feel really low, and to claw myself back from this pit, I take to a little self-introspection. It not only helps to remind me how far I have come, smile at the tiny feats; but also reflect on the weaknesses that I need to overcome to grow. But more than anything it helps me to pause and look at my journey from different perspectives and ask myself - Am I being true to my philosophy, to makeitbeaYOUtiful? And when my answer is in the affirmative, I know I am in the right direction and need to just keep going. "Take pride in how far you've come. Have faith in how far you can go. But don't forget to enjoy the journey." We truly need to appreciate ourselves more ...or the hurdles we have successfully crossed. Exactly Red, we should give ourselves a pat on the back once in a while. Keep walking and the result will show. Great to know you are progressing. Don't waste time in overcoming your weaknesses. Focus on your strengths and become great. And remember that in the end when we return to our spiritual home it is not our achievements that count but how we made others feel and the love we shared. That's a wonderful question to ponder over. I wonder how much I achieved till now. Helps to reset the priorities too. True Raj! It helps you prioritize depending on what stage of life you're on...what makes you happy! Sometimes we get so wrapped up in the journey that the process stresses us out to the point there is no way we can enjoy it. It is good to step back and re-evaluate from time to time. Too much introspection can backfire too. Sometimes it makes us apologetic about our failures in the past and muddles up our hopes for the future. Sometimes its best to just resume doing something with renewed vigour just for kicks, without having too many expectations. Visiting after ages. Great to be back. True CRD! I feel anything done in extremes hurts us...too much of introspection too - you get bogged down by failures, start comparing yourself to peers, you are right it can get messy! I think that is one of the best features of a blog; it helps to be a space where you can page back and realize how far you've come. Oh yes! :) Blogs have become such a personal dear space and help you evaluate yourself! Harsha it is so so good to hear from you!! :) Hope you are back for good and blogging already! So poignant...We do need to appreciate ourselves more you know..Give us the push to do better! True Naba! After all 'You' is imp! Nice post. Sometimes you need to ponder and think when you feel low. True Seeya. Thanks for dropping by!